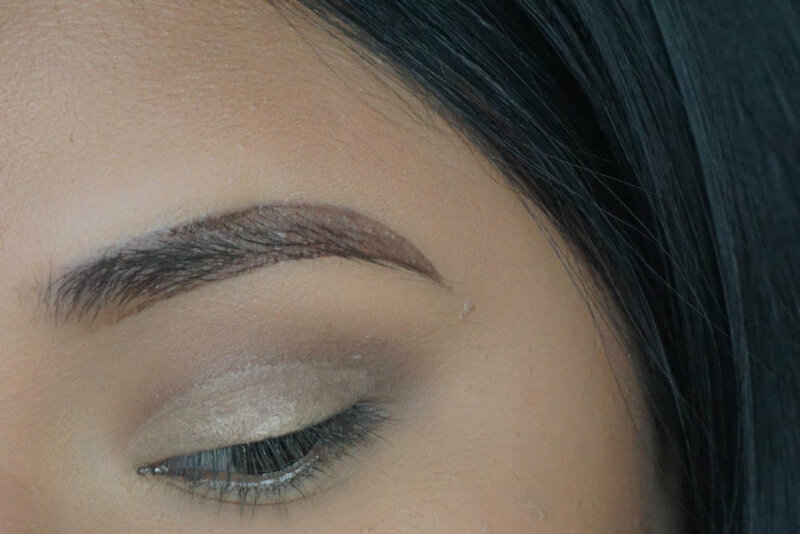 Today I am sharing with you guys my easy go to look using only TWO eyeshadows. This is perfect for those days you are not sure what to do or if you are in a rush. First step you apply your transition color and this is just to help the colors blend with more ease and add dimension to your eye look. For my transition shade I used 'LULA' from the Master palette by Mario. For the Second step I used the NYX Glitter Primer, I like using this under shimmer shadows to prevent them from moving around. Lastly, for the Third step I used 'PARIS' again from the Master Palette by Mario. To complete your look use your favorite lashes, for this look I used my 'QUEEN B' lashes by Koko Lashes. I really hope this post helped you guys out and remember makeup is meant to be fun so don't be afraid to play around with colors. Thank you for tuning in to this week post make sure to comment any questions and tune in for my next post on how to prime and moisturize oily skin.